The kitchen can definitely be an intimidating place. But with food kits - from companies like Blue Apron and Marley Spoon - you can eliminate all of the guesswork from great cooking. They provide easy to follow recipes, perfectly-portioned ingredients and ‘How To’ guides that will empower even the most hesitant home cook. Here are 5 ways food delivery kits will rev up your confidence in the kitchen. For many people, cooking involves a rotating menu of the same half dozen meals. But services like Blue Apron will pique your culinary imagination by spicing up your routine with dishes like kung pao broccoli and parmesan-crusted chicken. It’s about using the ingredients you’re already familiar with in fun, new ways while also learning how to incorporate new flavor profiles and ingredients into a dish. So you can keep the roast chicken that the whole family loves, but also get inspired to swap out the baked potatoes everyone’s tired of eating for something a bit more bold like a chickpea and feta salad. Kitchen lingo often sounds like some sort of secret dialect. Saute, baste, simmer, fold, marinade. But services like Marley Spoon simplify the process of cooking. Their recipes (straight from the cookbook of Martha Stewart) are never more than 6 steps and eliminate all of the fussiness from preparing a tasty meal. 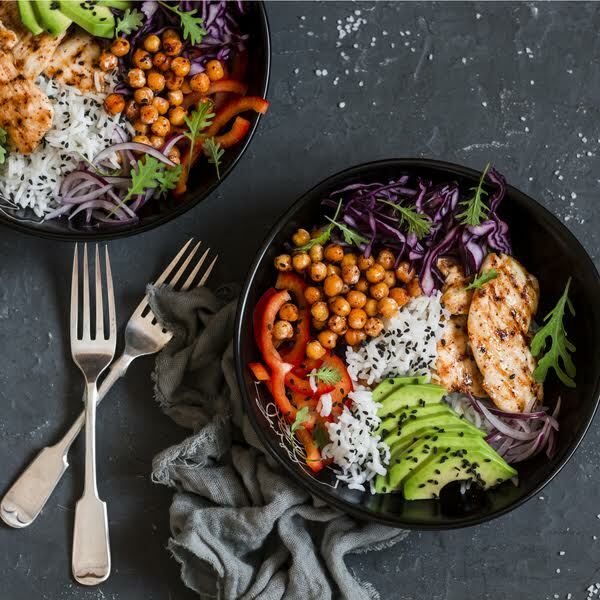 The Marley Spoon site also has an entire catalogue of ‘How To’ video tutorials and recipes to further your culinary education and get you cooking more. Been hearing about bok choy, or kimchi, or udon from food blogs and coworkers, but don’t have the slightest idea as to where to find these ingredients or how to work with them? Blue Apron is all about exposing home cooks to new flavors and foods. A lot of their recipes incorporate ingredients you’ve probably never heard of but will absolutely love. It’s the best way to get to know a different aisle of the supermarket. Maybe you tried ginger once and hated it. Or you swore off oysters after an unsavory experience. Cooking with food kits can give you a new appreciation of the foods you’ve been avoiding all your life. By using wasabi in a different way or by enhancing or complementing the flavor of ponzu sauce you might realize you were too quick to dismiss something really amazing. Less than 60 percent of dinners eaten at home are cooked there. Blue Apron is on a mission to change that by giving their customers the confidence to ditch the takeout menu for the stovetop. They do a great job of explaining the basics of the cooking techniques described on their recipe cards. So next time you’re in the kitchen you’ll know why an onion should be cut a certain way, or the precise moment to add in the garlic. And in the process not only will you learn to love to cook, but your confidence and sense of experimentation will keep growing. Can food delivery kits spice up your cooking routine? 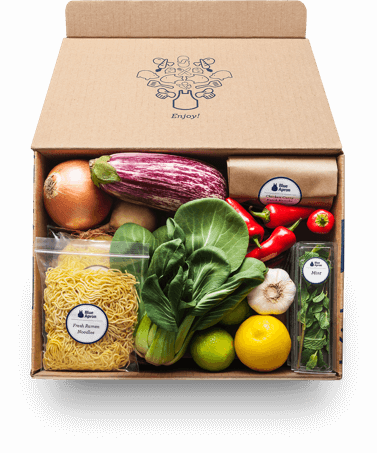 Check out the Blue Apron website and see for yourself.